It’s that time of year when gift giving is sneaking up on us, and everyone is looking for ideas for homemade or handmade gifts to give. It’s especially meaningful for the littles to be able to make something to give to their family members. 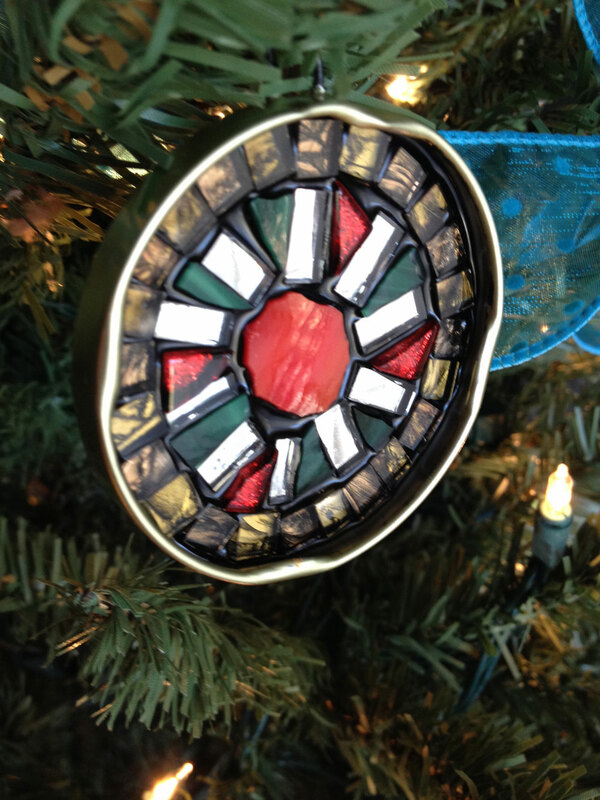 If you’re looking for fun, quick, and fairly inexpensive gifts for the kids to make for moms, dads, grandparents, teachers, aunts, uncles…basically everyone on their list; then you’ll want to check this out! 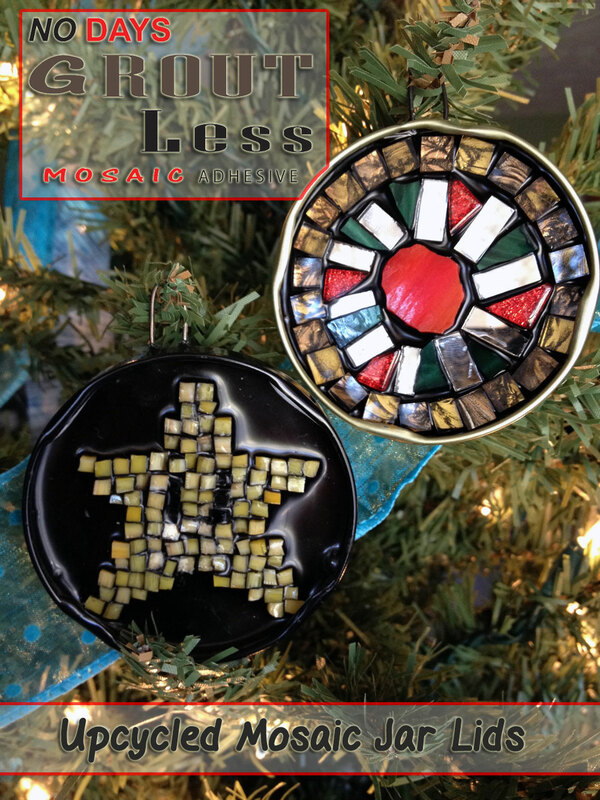 Not only is this a nifty way to upcycle jar lids and make some beautiful gifts, this is a great project for the kiddos, as well as for working with more advanced mosaics. The process is simple and quick! 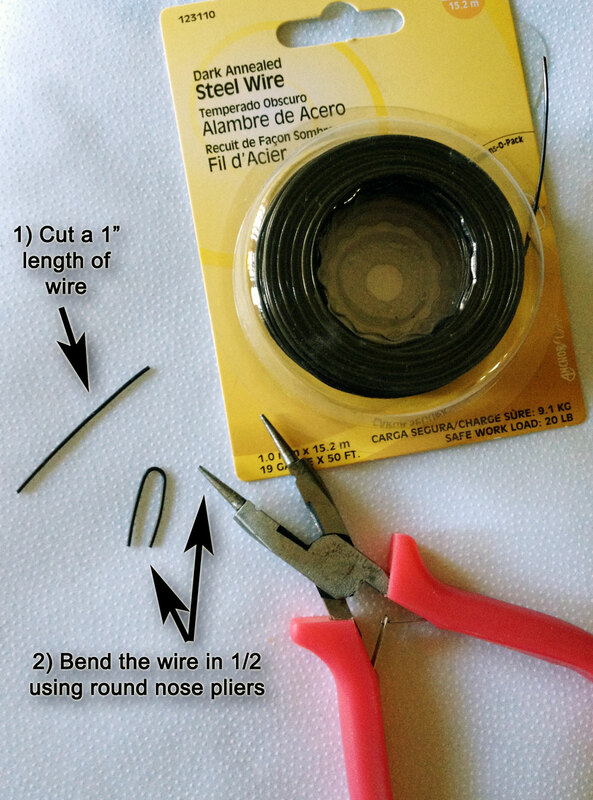 Create a wire hanger with round nose pliers. 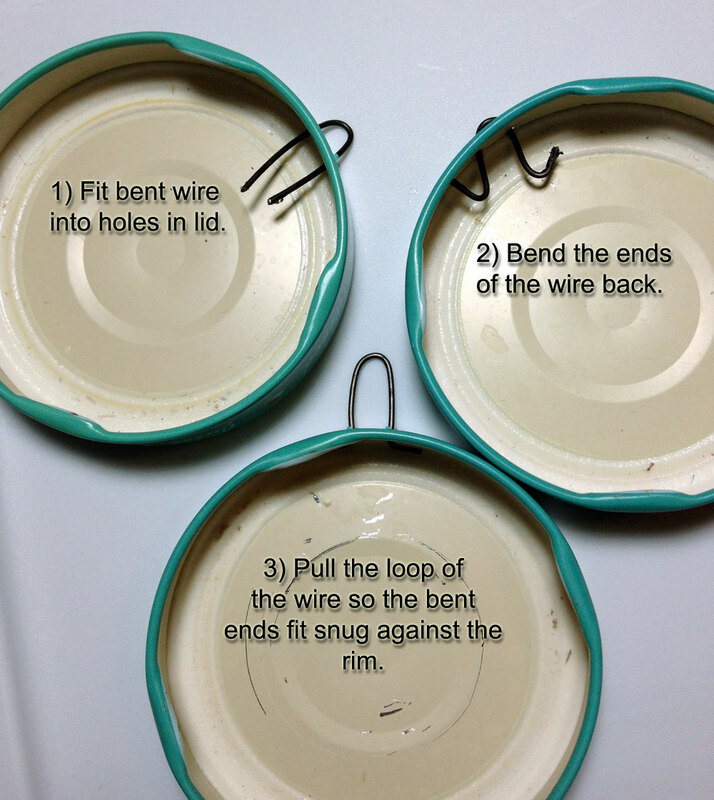 After bending a length of wire into a U shape, fit the ends through the 2 holes in the lid. Then, using the pliers, bend each leg back on itself to secure it in place and prevent it from falling back out of the lid. Insert the wire and bend it to fit inside the lid. 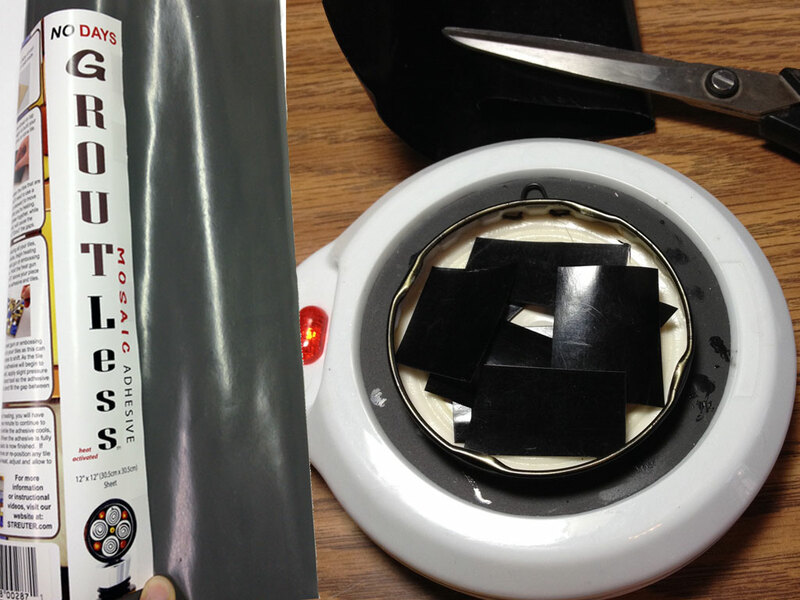 Once you’ve got the lid prepped, you can cut some No Days Groutless Mosaic Adhesive to fit the inside of the jar lid. You don’t need to cut it exactly, and you can use scraps if you have them, too. 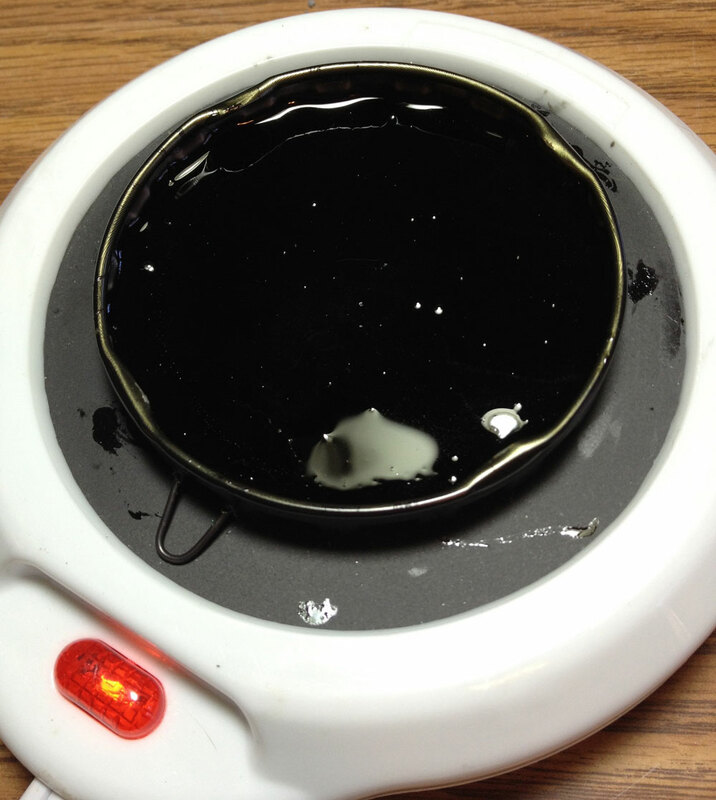 A candle warmer works great for setting the No Days Groutless into the jar lid. After heating, it’s best to let the adhesive cool down again before laying your tiles. I’m using a candle burner / wax warmer that is the perfect size for working with jewelry and small projects that conduct heat (like the metal lids). Here, you can see that once you turn the heat on and the heat transfers through the metal to the adhesive and then the tiles, you can move the tiles into place by sliding them or pushing them with tweezers. The tiles in the middle were placed while the adhesive was warm, but that tends to make a mess. If you wait until the adhesive is cooled, lay your tiles and then heat the whole thing, it tends to make less clean up of adhesive that has covered the surface of your tiles. Below you can see my first attempt (top right) and second attempt (bottom left). 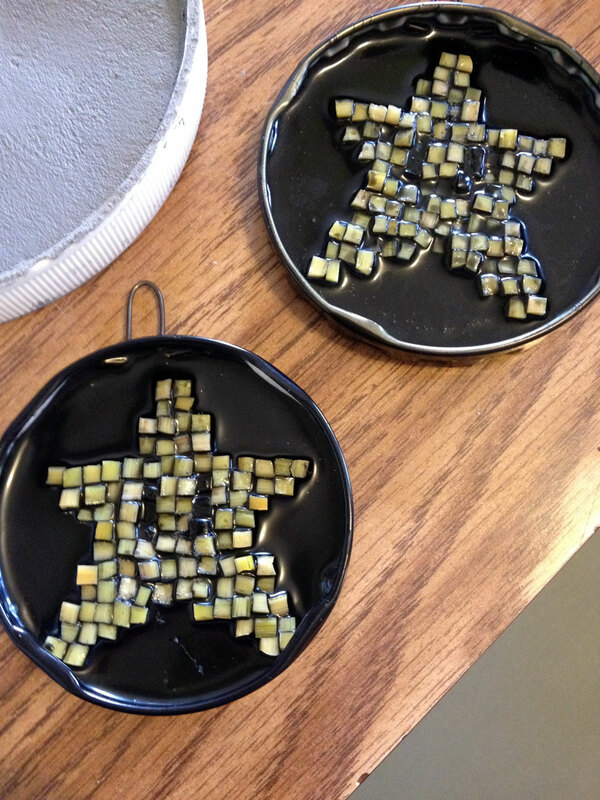 The tiles on the first star were laid while the warmer was on and the adhesive was liquid. The adhesive tends to get on your tool and the top surface of your tiles this way, leaving more clean up. 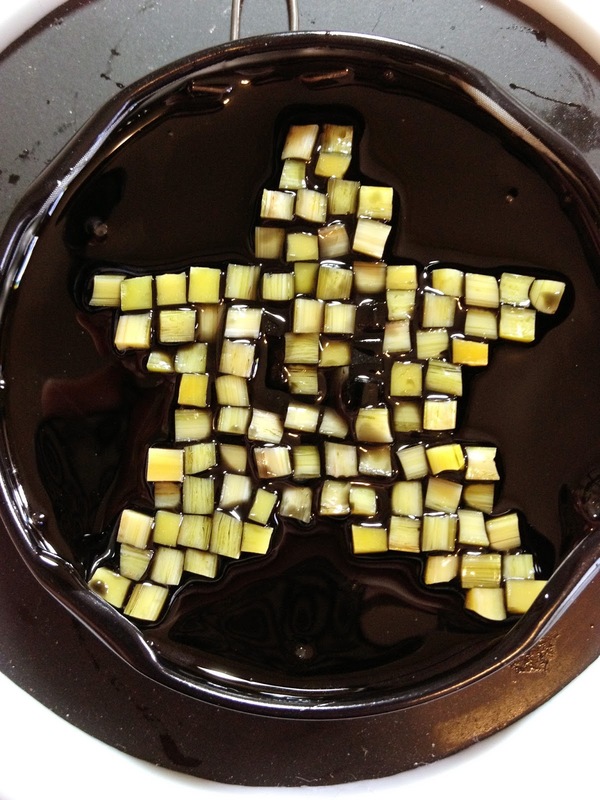 The second star was laid after the adhesive had cooled and then heat set all at once, making much less of a mess to clean up. then heat set after all tiles were laid. The adhesive that covered some of the surface of the tiles can be scraped at with a sharp tool, like a razor or small screwdriver. This project works great for children’s projects, too. 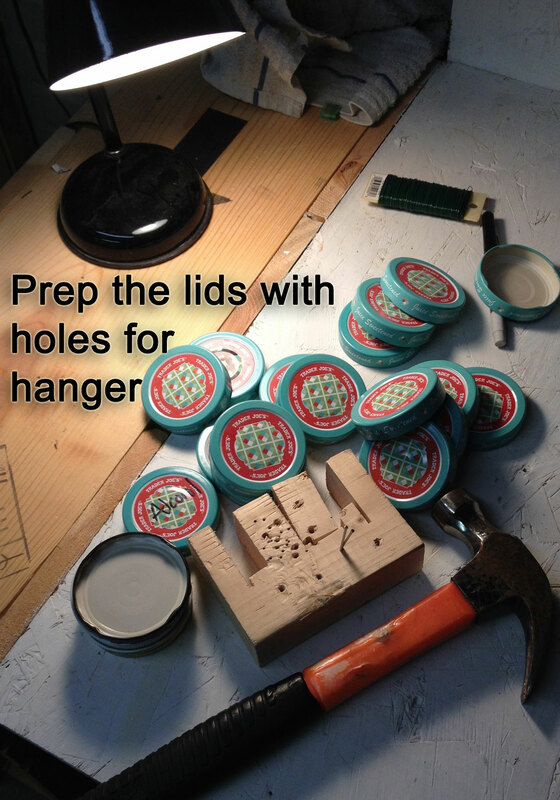 Square tiles can be cut with nippers to fit in the lid in simple designs. No Days Groutless Mosaic made with nipped squares.